In the course of a few weeks, Haley Banks, MD, took an eight-hour medical licensing exam, completed an intensive care unit clerkship, attended her graduation from the Texas Tech University Health Sciences Center (TTUHSC) School of Medicine, and even had her first baby. But Banks is used to a fast pace. In fact, she made it through medical school in just three years. Banks is not alone. Dozens of students are enrolling in a variety of three-year programs in the United States and Canada. What’s more, the phenomenon is growing. Today, the tally of three-year program grads in the United States is roughly 150, compared to fewer than 10 in 2013. The Consortium of Accelerated Medical Pathway Programs, launched in 2015 by eight schools with funding from the Josiah Macy Jr. Foundation, has grown to 16. And at least a third of U.S. medical schools are considering accelerated tracks, according to a 2016 journal article. Trimming tuition costs is certainly one goal of accelerated programs. They also aim to produce physicians faster to address growing state and national physician shortages. Still, despite these and other possible benefits, three-year med school is not without its skeptics. Topping their list of concerns is whether these pathways provide students with all the experiences they need to succeed. Program leaders say they’re working to do just that in a variety of creative ways, from adding intensive summer sessions to requiring community-based research projects. Given the expedited pace, though, even proponents acknowledge that the approach only works well for some students. The question then becomes: Who are those students? This isn’t the first attempt at shortening medical school. During World War II, schools initiated three-year programs to tackle physician shortages, and interest peaked again in the 1970s due to shortages and rising student debt. Most fast-track programs fizzled out, though, when shortages eased or concerns arose, such as possible student burnout. Current interest has also been spurred by mounting student debt and serious physician shortages. For example, the first new program in this wave, at TTUHSC, launched in 2010 to address the state’s shortage of primary care providers. How do today's models work? They tend to have various traits in common: Some electives get cut. Vacations get trimmed. Clinical experiences start much earlier. At TTUHSC, as at many other schools with three-year programs, students are required to pinpoint their specialty area early, which means they don’t need fourth-year elective rotations to finalize that choice. There’s a related perk for students: Accelerated tracks usually guarantee grads that they’ll rank them high enough to nab one of the school’s residency slots when they apply through the Match®. However, most programs provide no more than a few specialty options, choosing to focus on shortage areas like family medicine. And most programs are quite small, usually training less than a dozen students per class. Generally, the three-year track is offered within a much larger traditional school — and students may even start out in regular classes, peeling off after a year or so. In fact, most offer the option of “deceleration,” or switching into the four-year path, whether for academic or personal reasons. Only a handful of three-year programs break the basic mold. New York University (NYU), for example, offers access to 20 different residency options and can accommodate 34 students per class. What’s more, unlike most other three-year programs that require students to apply before or soon after matriculating, NYU lets four-year students apply for the shortened program up until the end of year 2. And the granddaddy of three-year programs, the Michael G. DeGroote School of Medicine in Ontario, has been exclusively fast-track for five decades and trains more than 200 students per class. Ultimately, some programs wind up trimming fewer than 20 weeks from conventional calendars, which average 157 weeks. All make sure to provide at least 130 weeks of instruction, the minimum required for accreditation by the Liaison Committee on Medical Education. Battling student debt — which reached a median of $192,000 among medical school borrowers in 2017 — is one strong argument for fast-tracking, proponents say. In fact, when researchers consider tuition cuts and an extra year of salary, they calculate a lifetime savings of around $250,000. And at the many schools that provide residency acceptance to graduates, students save the expense of applications and interview travel — not to mention considerable stress. 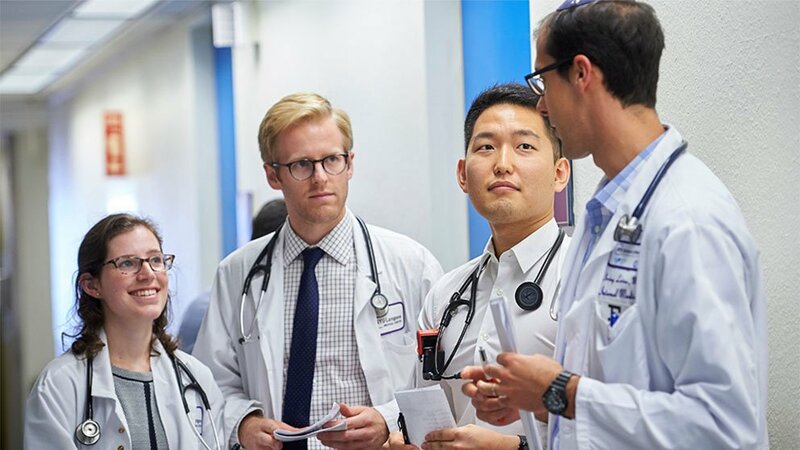 Research seems to support Jones’ contention: Three-year grads perform on par with traditional four-year grads in selection as chief residents, for example. Sarah Stovar, an accelerated student at Penn State College of Medicine, values her program’s creative efforts. There, students follow patients for many months and in various settings. Morrison also worries about burnout. 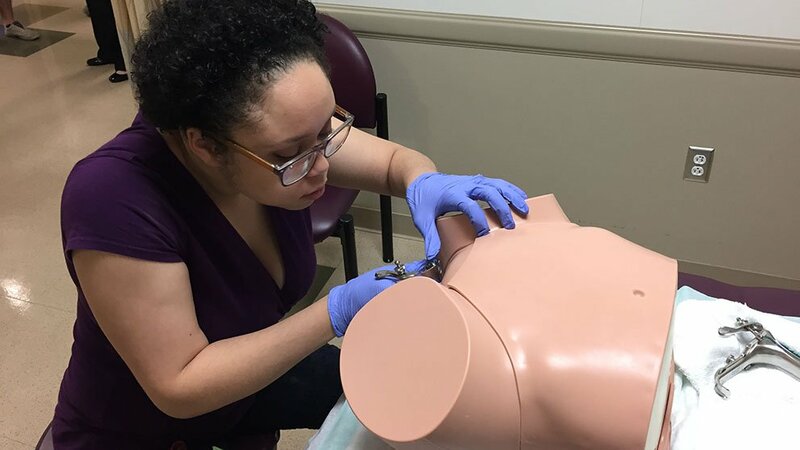 “Putting students through faster may be the wrong approach if you want to reduce stress and teach them that they can have a life in addition to being a doctor,” she says. Leaders of accelerated programs say they are attuned to student well-being. Preliminary research suggests that three-year students don’t experience more burnout, according to Shou Ling Leong, MD, who directs the accelerated pathways program at Penn State and spearheaded the research. The cohort of students, drawn from the AAMC Graduate Questionnaire, was relatively small, but Leong is optimistic, noting that accelerated programs offer students additional mentoring and support. Still, she and other three-year program leaders recognize that the fast track certainly is not right for all students. Self-direction. Resilience. Grit. Excellent academics. These are among the traits program directors say they search for in three-year candidates. Programs also prefer applicants with a deep understanding of — and commitment to — a chosen specialty area. That might mean significant time spent shadowing physicians or volunteering at a clinic.